Boneshaker' bicycle, c1870. 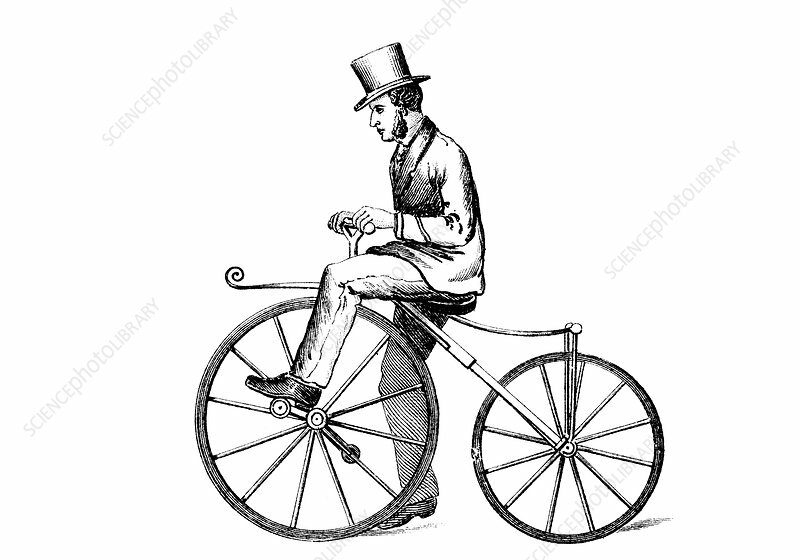 The boneshaker was a type of pedal-driven bicycle popular around 1870. The design was essentially a modification of the earlier 'hobby horse' bicycle, with cranks and pedals applied directly to the front wheel, which enabled the rider to propel the machine more easily. The bicycle was a heavy machine by modern standards, weighing some 60lbs (27kg) on average, and capable of being pedalled at no more than about 8mph (13km/h). The boneshaker got its name from the obvious consequences arising from its seat having no springs under it, coupled with solid metal tyres and the preponderance of cobbled roads at the time.